Thank you for your interest in adopting a pet from the Kansas Humane Society! Our animal shelter gives you the opportunity for dog adoption, cat adoption, and other animals. KHS is dedicated to bringing pets and owners together to create a humane community. Browse the website or view animals in person at our Wichita facility. Fill out a brief dog or cat adopter survey before your visit or in person. Let our adoptions counselors know which animal(s) you'd like to meet in our visiting rooms or play yards. We encourage visits by all members of the household, especially kids and other dogs! *Must be 18 years of age or older (or accompanied by an adult) with a current photo ID. 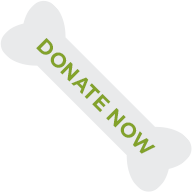 Must be able and willing to spend the time and money necessary to provide training, medical treatment, and proper care for your adopted companion. Holds are $50 and reserve a pet for you until closing time the following business day. Holds are processed in the order they are received and may be placed during or after business hours by calling 316-524-9196. The fee is applied towards your adoption; otherwise, the deposit is non-refundable and will be used by KHS to help additional animals in our care. Working Cat Program - Please visit this link for more information. $10 credit to the KHS store for all full price dog, puppy, kitten and tween cat adoptions. Depending on the number of guests we’re serving, the pet adoption process can take anywhere from 60-90 minutes. About Lonely Hearts Club and HIPP: Through our Lonely Hearts Club, we offer discounted adoption fees for special pets who due to age, size, or other reasons may need extra help being adopted. In order to continue this important program and save animal lives, our HIPP (High Profile Pets) program adoption fees help underwrite those reduced adoptions. 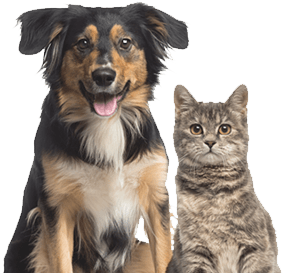 HIPP fees for an in-demand pet may be higher than our standard fees and are determined on a case-by-case basis. We're thrilled that we helped thousands of pets find new homes every year. And we love sharing their adoption stories and photos!